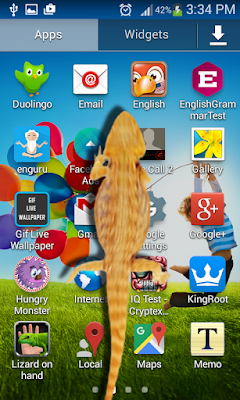 Lizard on hand funny prank | Owgun Entertainment '+g+"
Lizard on hand funny prank is a funny joke will display a realistic animation of scary lizard in motion on the screen to prank your family and friend. They will think that real lizard are walking on their hand. Tap the camera button and place the smartphone on the hand of the victim, tap anywhere in the screen then a large lizard terrible with long legs will appear and start running inside the screen ! it's Very scary prank and funny joke. Additionally to make it easy to cheat your friends we give you possibility to use your home screen to scare who trying to spam your phone. Have fun! 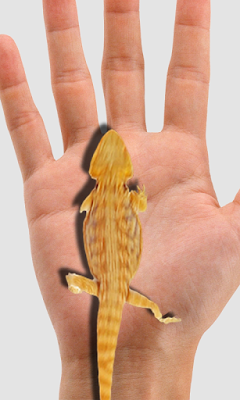 Lizard on hand funny prank is a Lizard simulator that you can use to scare and prank your friends. lizard in hand Prank the Craziest Joke in the store !